In addition, Fraunhofer IWU demonstrates highlights from the department adaptronics at the main booth, for example digital processes for the functionalization of structural components. With the help of laser-based technologies among other things, electrical and sensory functions can be placed onto structural components freely and economically. Conducting paths and operating elements are printed directly onto the components. In addition to increasing flexibility, this way the weight of the final product is reduced by omitting the cables. The principle of this novel technique resembles the one of an inkjet printer, only instead of ink a special paste is utilized, which can be used as a conducting path or a sensor after drying, depending on the composition. Using a so-called jet dispenser, which is a specific nozzle, these pastes are deposited onto the component as strands or points. A robot guides the nozzle over the workpiece. Thus the variant diversity becomes manageable. 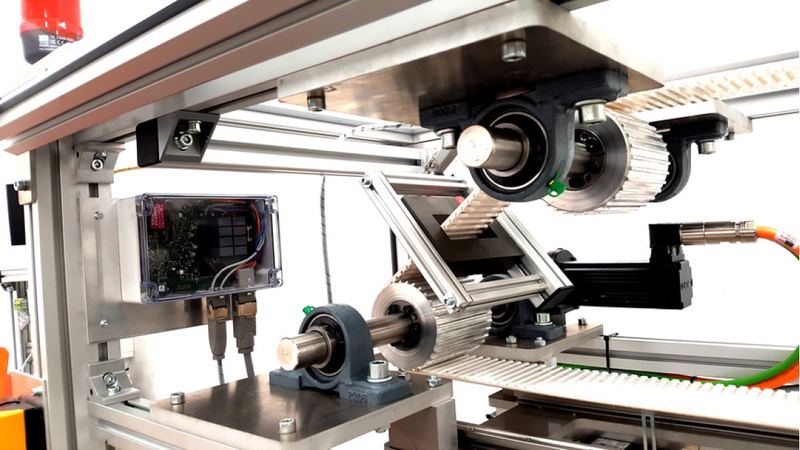 It is due to the robot that for the first time it is possible to not only print on surfaces, but also to print lines, sensors or keys onto large three-dimensional components in a quick, efficient and entirely individual manner.